The Low-Down: Estonia Plans On Launching Its Own Cryptocurrency. So What? Estonia Plans On Launching Its Own Cryptocurrency. So What? The original point of Bitcoin and other crytocurrencies was that they provided a putative way of evading regulation and government oversight. Unless, of course, you really wanted to achieve scale. But that's a different story. The significance of Estonia's announcement is that if a small, tech-savvy Baltic country thinks it may be advantageous to do so, then so could large, well-financed - but maybe not as tech-savvy - countries with more opportunities to scale will do so. Like China, Korea, the UK, France, Israel, the US, et al. Estonia’s e-residency program allows anyone to become a resident of Estonia without having to move there. E-residents are given an identification card with a chip. They can access government services. set up a company or open a bank account without visit(ing). The idea is to expand the number of residents in Estonia, even if virtual, and to attract investment. E-residents have generated $17.2 million in revenue since the program started project(ed) to increase to $2.13 billion by 2025. When it comes to reinventing government for the digital age, Estonia seems to be already living in the future. But now the country is on the verge of taking a radical new step by becoming the first nation to launch its own cryptocurrency. 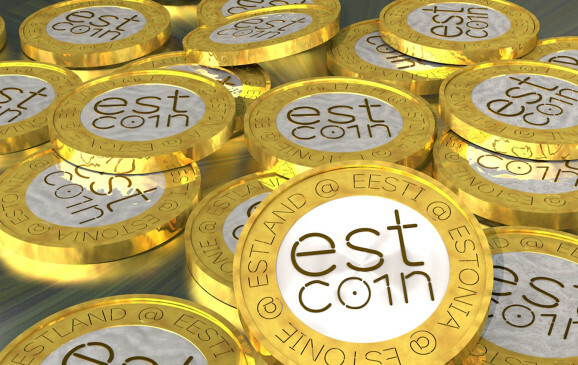 In a blog post today, Kaspar Korjus, managing director of Estonia’s e-residency program, unveiled details of the country’s plans for estcoin. Korjus was careful to make the distinction that these are tokens, not technically a currency, because that would violate the country’s agreement to use the euro as its official money. Still, the estcoins may go on sale in 2018 to raise money for the country’s e-residency program. But just as important, that money and the expansion of the e-residency services will include efforts to make Estonia a kind of haven for people looking to hold initial coin offerings. Korjus believes Estonia can put in place a clearer regulatory framework that will remove the uncertainty that ICOs face in other jurisdictions. Launched in 2014, Estonia’s e-residency program allows anyone to become an official resident of Estonia without having to move there. E-residents are given an identification card with a chip that uses 2048-bit public key encryption. With that digital ID, they can access government services to set up a company or open a bank account in Estonia without ever needing to actually visit. The idea is to expand the number of residents in Estonia, even if they are virtual, and to attract investment. In the blog post, Korjus pointed to a new study by Deloitte that found e-residents have generated $17.2 million in revenue since the program started. The report projects that total to increase to $2.13 billion by 2025. Back in August, Korjus first floated the idea of using crypto tokens in a blog post. Since then, he’s been taking the temperature of the crypto community to see whether the country should move forward with the plan, and why. After all, for many supporters of blockchain technology, the concept is appealing because it points toward a post-government world. A government getting involved with crypto currency or tokens would seem to be the last thing many might want. But Korjus believes Estonia can play a key role by bridging the divide between governments that are fearful of blockchain and those in the crypto community who dream of no regulations. In addition to putting in place a regulatory framework, the goal is to let people use their e-resident identity to participate in ICOs. Ideally, this would facilitate the process for companies launching an ICO, while also providing some measure of trust that the company has been vetted. Korjus said the country would be selective in choosing who could hold an ICO there. As for the estcoin program, though insisting it is not a currency, Korjus said the tokens would allow the country to turn its e-residents into more of a community by letting members earn estcoins for doing things like recruiting new residents. Those tokens could be traded by members of the community in exchange for services from other members. The estcoin could also help boost the utility of the digital identity system, and possibly even be pegged to the official euro to facilitate transfers of money. There is not a strict timetable for launching estcoin, but Korjus said efforts within the Estonian government are now moving rapidly.